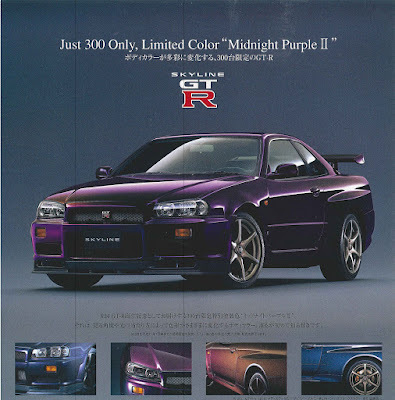 We finally figured out what this R34 Vspec Early Model, Limited Edition is, Midnight Purple II R34. Once we got the information, spoke with the NHTSA, we started making moves to make the car a reality. 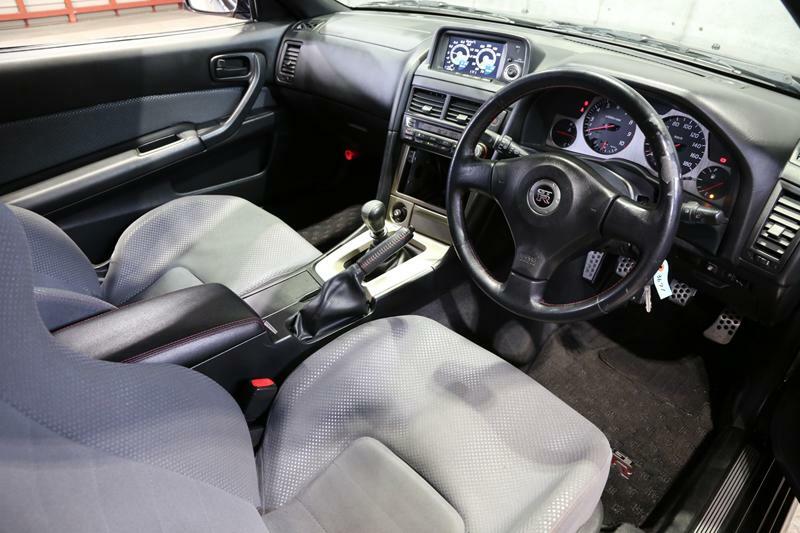 The hard side of this car is the EPA/OBD II compliance. Since we have been working closely with the lab on California legal R32 Nissan Skyline GT-R's, we convinced them to bring a 1999 R34 GT-R into compliance. 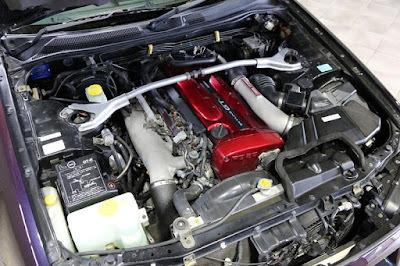 Nothing to do with this car, but here is Mika Tan, and an R34 GT-R.
Once we had that OK, we moved onto locating a car. The first one we found was a good one. 1999 R34 GT-R Vspec. 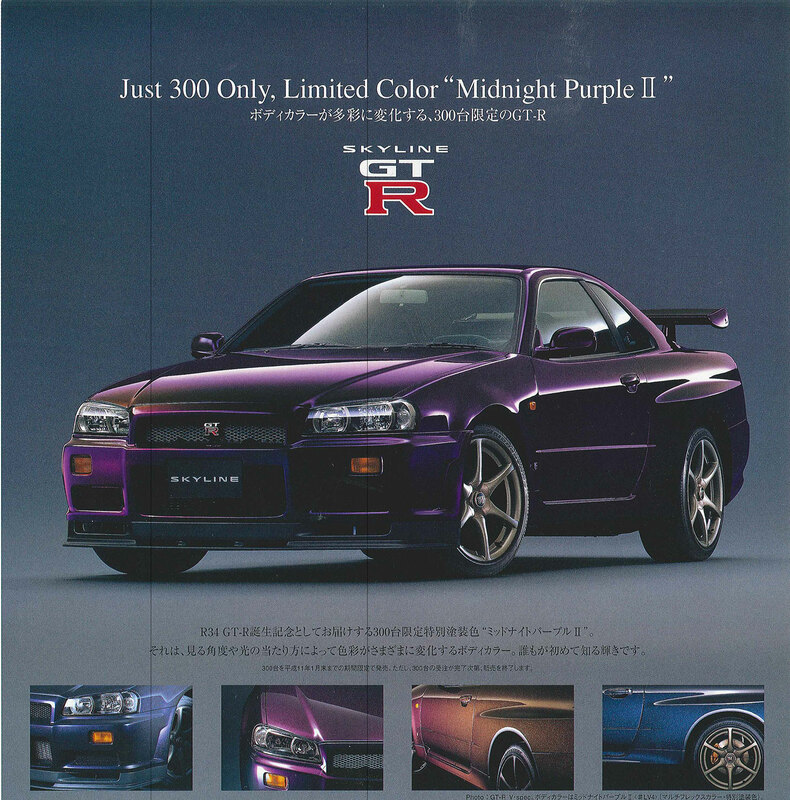 Midnight Purple. One of 282 cars produced. Coming to the US soon, getting full EPA, and ARB (California compliance). 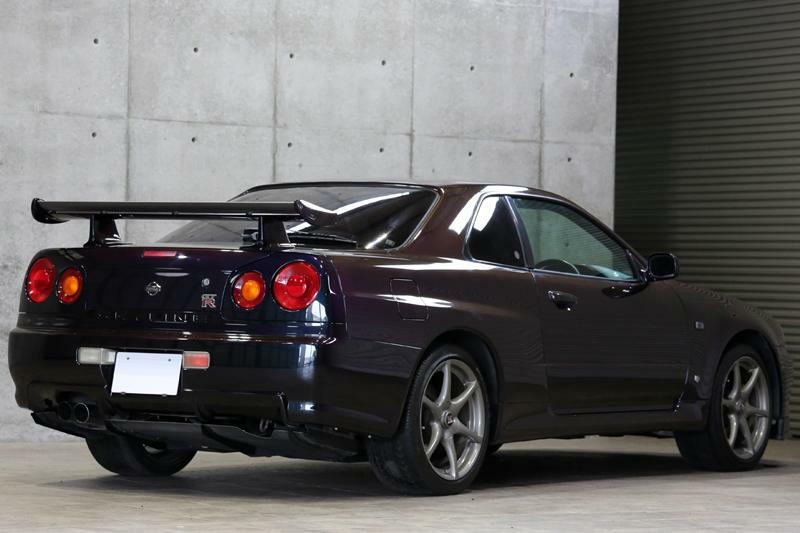 This will be the first California legal R34 GT-R.
2. 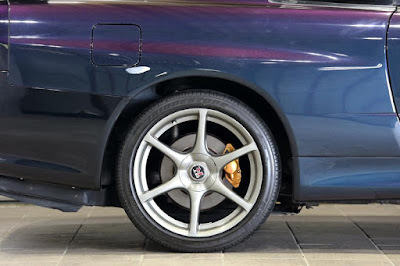 Vehicle identification – make, model, model year, VIN or chassis number, engine number, date of manufacture and mileage.